Prototype: German Railroad, Inc. (DB AG) class 147.5 electric locomotive for long-distance service. Multiple system locomotive without flex panels, built by Bombardier as a regular production locomotive from the current TRAXX generation P160 AC3. Light gray long-distance service paint scheme with "Traffic Red" decorative stripes, in the current IC design. Road number 147 557-3. The locomotive looks as it did in July of 2018. 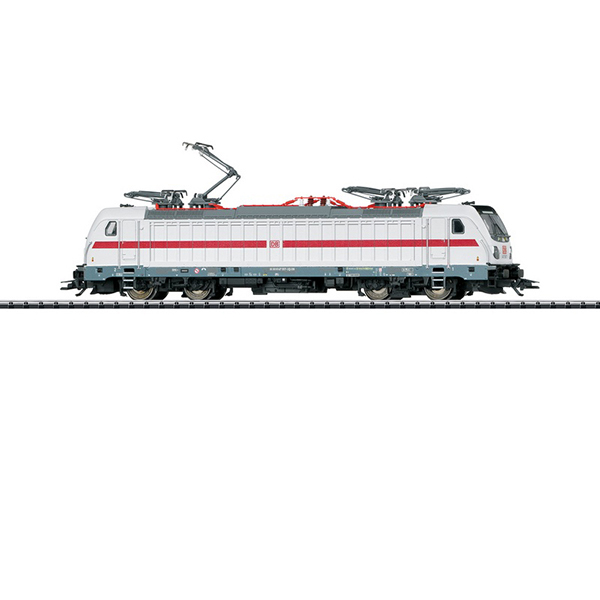 This model can be found in an AC version in the Märklin H0 assortment under item number 36638. This locomotive goes well with the 23248, 23249, 23251, 23252, and 23250 IC2 bi-level cars.